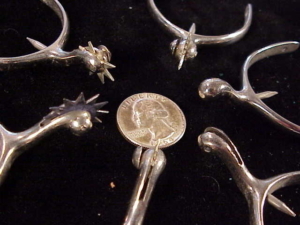 I believe this to be a salesman’s sample set of military spurs, probably not actually miniature, but child or cadet size. The spurs are all basically identical with the exception of the rowels. 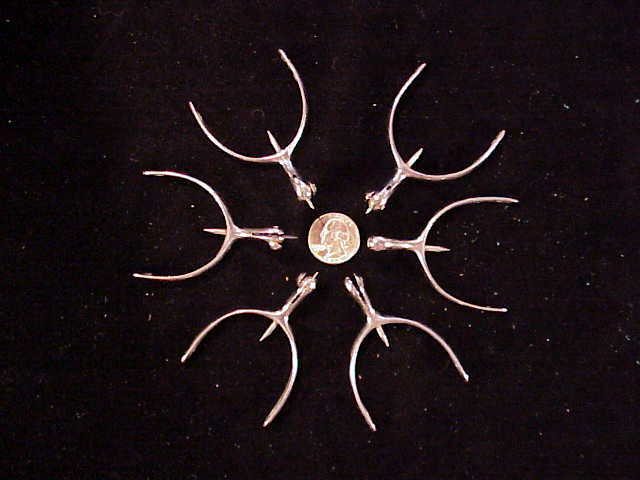 There are six spurs with four different rowels. 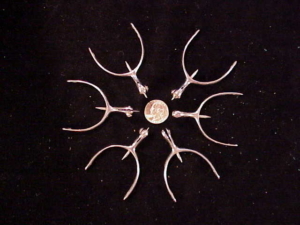 On one spur the rowel is missing, and one spur was made without a rowel. No two spurs are exactly the same, so no pairs. This is what makes me think these are sales samples. 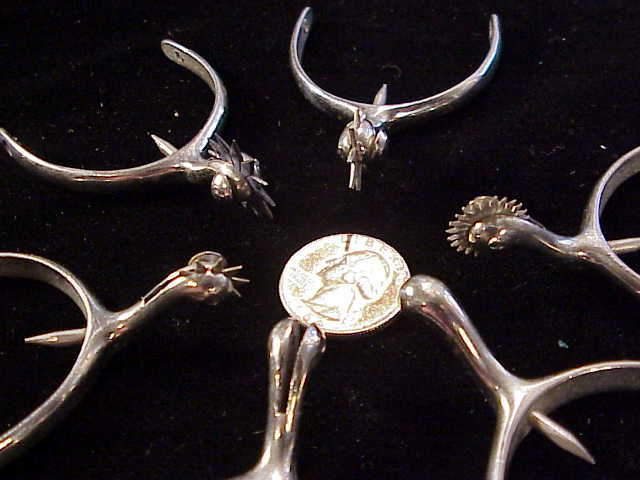 The spurs look to be made of German silver or white brass. They are very high quality. These are not recent, & I would guess they date from the 1850’s to the 1930’s. A really neat set for the spur collector! Price Reduced: $150.00.